The Reckoning of the Fake Catholic Bishop of Whitby? After the article “Philip James French: The Fake Catholic Bishop of Whitby” it seems the people of Whitby now have a chance to bring their concerns about Philip James French of St Ninians to a public forum. The town’s religious leaders will be discussing the matter on the 8th of November. Posted on October 27, 2018 by Dr. Foster Lerner, D.O. AINT Winifred was born in Tegeingl, in Northeastern Wales, and her Feast Day is November 3rd. 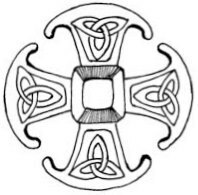 She was born into great wealth as the daughter of the Welsh nobleman Tyfid ap Eiludd during the period when Christianity was only beginning to have its effect in the British Isles. UPDATE: These plans have changed. There will be no Symposium in November 2019. Stay tuned for new arrangements. Greetings from Rome, where I have met with the priest at the Congregation for the Doctrine of the Faith (CDF) who is organizing the Symposium Nov. 4-8, 2019 in Rome to mark the 10th anniversary of Anglicanorum coetibus, Pope Benedict XVI’s Apostolic Constitution that established Personal Ordinariates for former Anglicans wishing for full communion with the Catholic Church. Posted on October 20, 2018 by Dr. Foster Lerner, D.O. Matthew Green sent us the following guest submission. Enjoy! Or who ever persevered in the fear of the Lord and was forsaken? 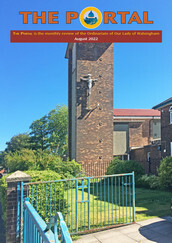 Tom’s Digest, a blog by one of our Anglicanorum Coetibus Society members, has an interesting series of reflections on the Daily Offices that we all hope will be approved soon by Rome. Followed Cardinal Quignonez in eliminating all that he considered to be extraneous elements that added needless complexity, like responsories, constantly repeated silent prayers, proper office hymns, and antiphons to the psalms and canticles. This Prayer Book Office went through numerous iterations over the last four and a half centuries, with variations between English, Scottish, and American uses, among others, and there is no need for purposes of this post to delve into the minutiae of these developments. A good short history (although from 1893, so it does not cover 20th-century developments) can be found here. Suffice it to say that one of Cranmer’s primary objectives, that of restoring the Office as a public, well-known and well-loved common worship of the Church (as opposed to, increasingly, a private duty of priestly and monkish prayer), was overwhelmingly fulfilled.